It’s unwise to pretend that inventing scents is easy. It can be hard. But if an inventor has a passion for creating perfumes, then success may well come. On one level, the process of combining essential oils and fragrances derived from plants, vegetables, animals and fruit is straightforward. There are even kits that enable children to make scents. Children simply mix essential oils, add water, and place the result in a spray bottle. 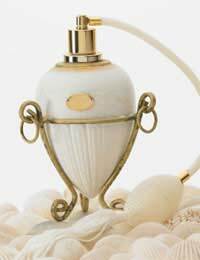 But scents created in this manner are unlikely to capture the interest of perfume and fragrance companies. There are two reasons. The first is that perfume companies are secretive about how they make their products. This is largely because perfumes can be difficult to protect with a patent. What the companies may often do instead is patent the process by which they create a scent. Companies therefore like as few people as possible to know the actual recipes for perfumes. In other words, they are wary of proposals for scents that come from outside. The company doesn’t know who an inventor is. Trust is therefore hard to establish. One alternative for a freelance scent inventor is therefore to go it alone. This approach comes, of course, with the need to manufacture and market a scent successfully. This requires special business skills. The second reason that puts an obstacle in the way of scent inventors is synthetic materials. Perfume companies prefer scents to come from cost-effective synthetics rather than natural sources. To identify, create and use synthetic scents is the realm of the organic chemist. An inventor well versed in organic chemistry has a head start over everyone else. But even then, it’s necessary to study the techniques for creating scents. Such techniques are not set in stone. Creating a scent is something of an art as well as a science. But it’s necessary to know about the four ingredient groups and the chemicals that improve and preserve scents. The primary scents. These are similar to a well-known scent such as jasmine. Or they may be abstract scents that appear in drinks and food. The modifiers. These change the primary scent into something unique and distinctive. The fixatives. These help preserve the primary scent. The blenders. There are many different blenders. As the name implies, they blend the ingredients into a cohesive whole. Inventors must also consider health issues. Unfortunately, some scent ingredients may have compounds that cause cancer. Other ingredients may promote an allergic reaction. An inventor must therefore be aware of potential health hazards at all times. A new scent must meet all appropriate EU regulations. All of this sounds daunting. It needn’t be if an inventor is determined to succeed. He or she must tackle the business of creating scents in a professional way. The best advice is to research the subject thoroughly. And if an inventor has already created a scent and is wondering how to market it, it may be wise to seek professional business help. The Department for Business, Innovation and Skills may be able to assist with further advice.